There is nothing better than a home-cooked meal, and many loving dog parents take the time to cook fresh for their dogs every day. After a few years of cooking for our own dogs, we’ve learned the hard way…preparing home-cooked dog meals by yourself, while always well-intended, is often guided by a few common misconceptions. One of the first misconceptions is that dogs are carnivores, and meat is all they need. Dogs are actually omnivores, like us, though their nutritional needs are different. Certain vegetables and the vitamins found within them offer our pups the same benefits they offer us. Others can be deadly, and yet others can simply be inadequate. Which leads us to our second-greatest misconception with home-cooked dog food. 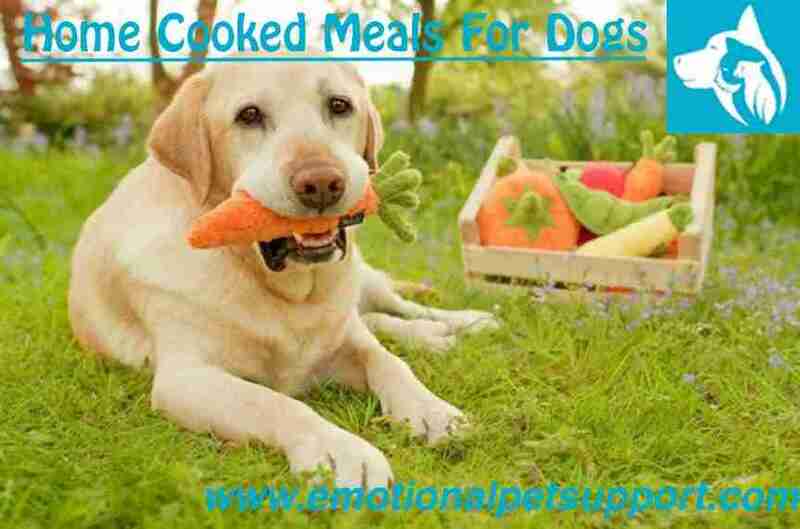 The idea that simply because a meal is home-cooked, it is balanced and nutritionally enough for your dog. This is many times, not the case, as home-prepared dog food without veterinary guidance often leads to a diet that is unbalanced, and lacking in essential nutrients. If you plan to cook for your dog on your own, you’ll want to make sure to consult with your veterinarian beforehand. While there is a great misconception about what a ‘healthy’ diet actually is, ‘balanced’ is the best way to describe a truly healthy diet that provides enough of essential nutrients. Myth: Dogs do well for a lifetime on ‘unbalanced’ diets. Fact: Dogs have pretty wide tolerance for deficiencies, but feeding the same diet, if low in nutrients, for a dog’s entire life can have severe consequences like those listed above. Dogs can survive on many diets, but having optimal health and conditioning is another. Dogs only want to eat protein and fat; however, dogs enjoy carbohydrates and these provide phytonutrients, beneficial fiber (fuel for intestinal bacteria), and energy for cells. Veterinary-formulated recipes are a sure-fire way to make sure your home-cooked meals are nutritionally enough. Throwing home-cooked chicken and rice in a bowl every day is kind, and certainly more delicious than dry kibble, but still not enough. There is wide latitude in the nutrient requirements of dogs. Ingredients can vary, and using a veterinary formulation ensures that specific detail is paid to make sure recipes meet the needs of critical nutrients and contain functional foods, which can be well digested and utilized by dogs. Veterinary nutritionists formulate thousands of individualized home-prepared diets and can tell owners when a diet may or may not be appropriate for a pet with a medical condition. If you are currently cooking for your dog or planning to cook for your dog yourself, please make sure you have consulted with a veterinarian first and can be sure that what you are feeding your beloved four-legged friend is balanced and nutritious.